It was set up in 2009 to coordinate the activity for the development of career-oriented potential of youth policy in the Russian Federation. 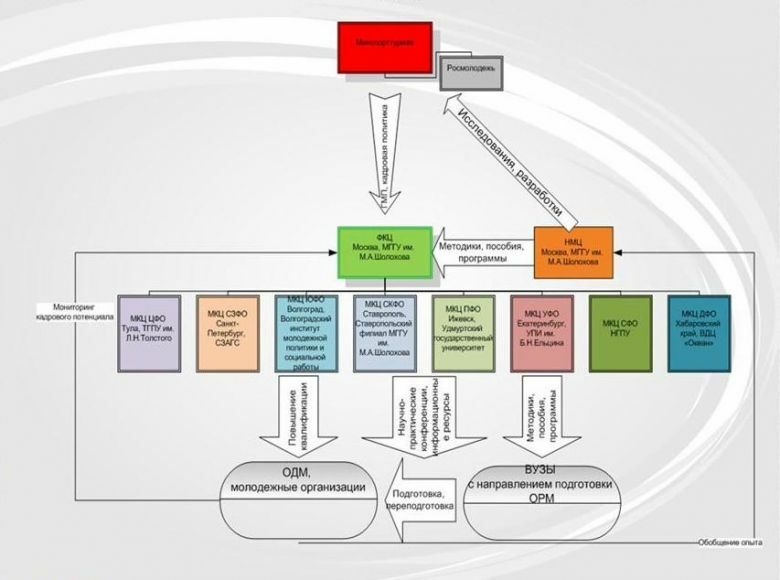 Federal coordination center (FCC) operates under the agreement between the Federal Agency on Youth Affairs of the Russian Federation (Rosmolodezh) and Sholokhov Moscow State University for the Humanities from May 19, 2009. Under the leadership of FCC a network of Inter-regional coordination centers for the development of career-oriented potential was established. It covers all federal districts of the Russian Federation. The interaction model of structures of the sphere of state youth policy was developed by the Federal Coordination Center. development of teaching materials in priority areas of the sphere of state youth policy.